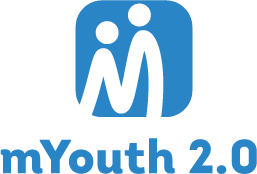 mYouth » This Summer We’ll Sprout New Knowledge in Coding! We are so excited - we just cannot hide it! 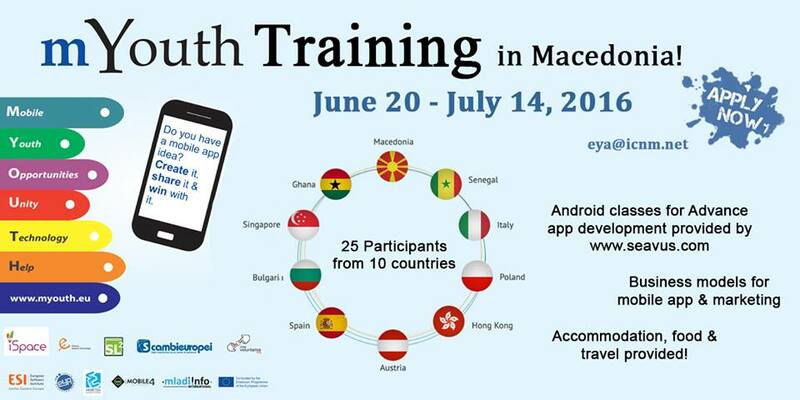 25 participants from Macedonia, Senegal, Italy, Poland, Hong Kong, Austria, Spain, Bulgaria, Singapore and Ghana, will come for the mYouth Training in Macedonia, which will take place June 20 – July 14, 2016 in Macedonia. As one of the main project activities, we believe this will be a truly open space for bringing to life fresh ideas for learning, shaping the mLearning educational model, and, on the one hand giving space for talented young coders to polish their skills, and on the other hand, where they can create mobile apps for everyone. If you come from any of the 10 countries listed above, and if you have an amazing idea for mobile app, STAY TUNED! This event can be a turning point for you, where you can start working on your idea from scratch to a real-time product. Nevertheless, you can WIN with it! Details of how you can apply for the program are coming very soon!